Sometimes I get unique emails and messages due to the nature of having work progressing in different parts of the world, but I always look forward to the ones I receive in French. They are translated by lead architect of the Ivato Theological Seminary, Frank Gorman of Engineering Ministries International, and they usually contain progress updates on a three-story classroom building. The FaithServes Leadership Team committed $100,000 from the 10% mission tithe of the Arise & Build Campaign to contribute to the construction of a new campus for Ivato, the seminary associated with the FJKM. Upon receipt of the pictures below, last month we were able to send the final payment of $60,000 for the completion of this project, all thanks to your generosity! As a seminary student myself, I cannot express how important it is to have access to the highest level of education and training for the immense call that it is to pastor and shepherd a congregation of believers. Given the context of the Church in Madagascar, this need is magnified by the reality that a single pastor is called to lead more than one church, sometimes up to several hundred across the countryside of Madagascar. Because of your giving, we’re able to help increase the number of pastors that are being trained in seminary. At the high rate the FJKM is planting churches, who knows if this will relieve the number of churches each pastor is called to shepherd. Regardless, there will be more workers for the harvest as the Church continues to grow! We’ve been invited by FJKM President Ammi to attend the Ivato dedication ceremony in October 2018. Interested in joining the team for the trip? Let us know (arossi@fpco.org)! 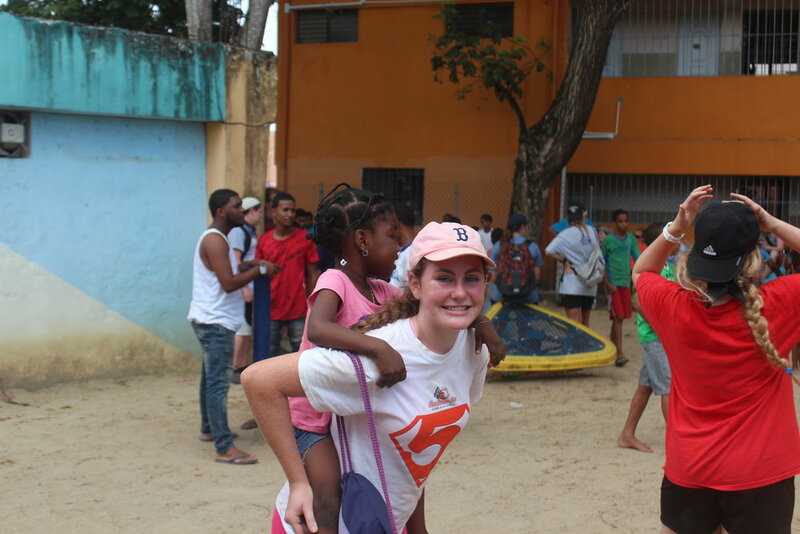 Our Student Ministry recently returned from the Dominican Republic following their 2017 short-term mission trip. 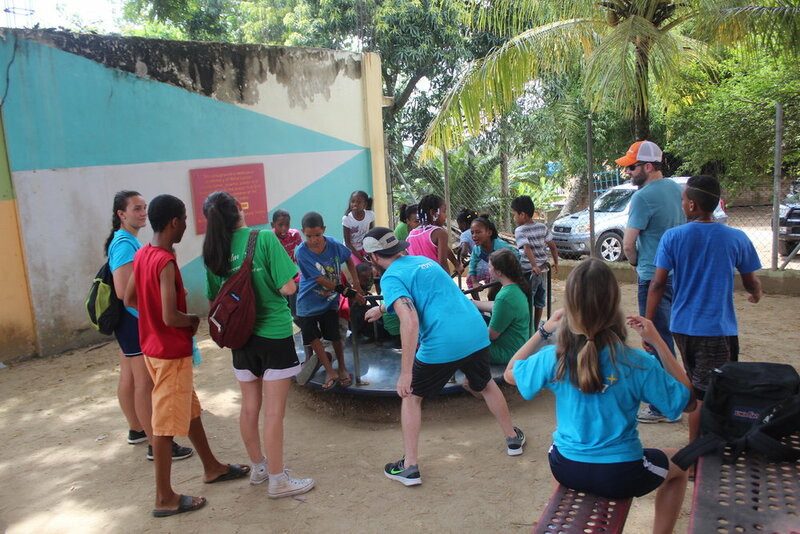 Students from First Pres work under the leadership of strategic partner Mission Emanuel in the community of Cielo, Dominican Republic. They spend a week building houses and relationships. Worked on the interior of the community center (much of the center was paid for by First Pres through our ARISE AND BUILD campaign). 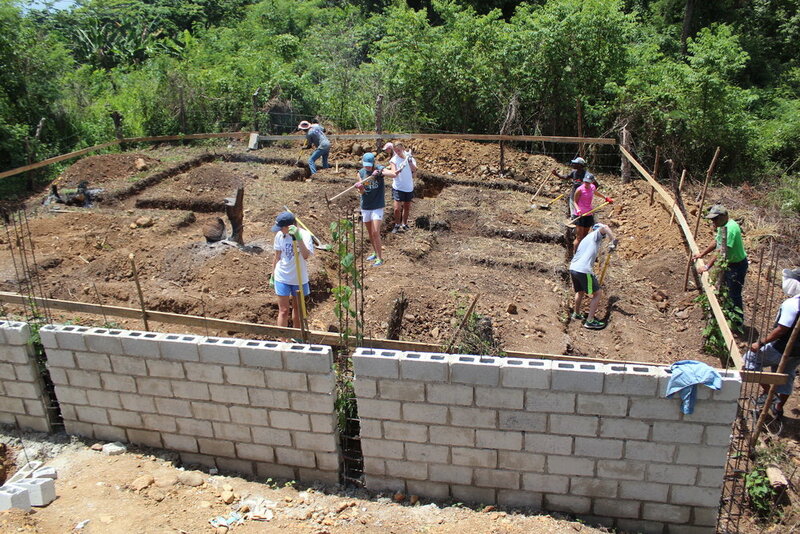 Helped with making, passing, and pouring cement for a house Mission Emanuel is building for a family. Picked sponsor children and got to meet them! Went to the only leprosarium in the Western Hemisphere, where they visited with lepers — touching them, dancing, praying, singing, and talking. A look back at our trip to Cielo with Mission Emanuel! God is good! MUSIC: "Manifesto" by The City Harmonic; "Jesus!" by Citizens & Saints. What's going on as we ARISE AND BUILD this summer? 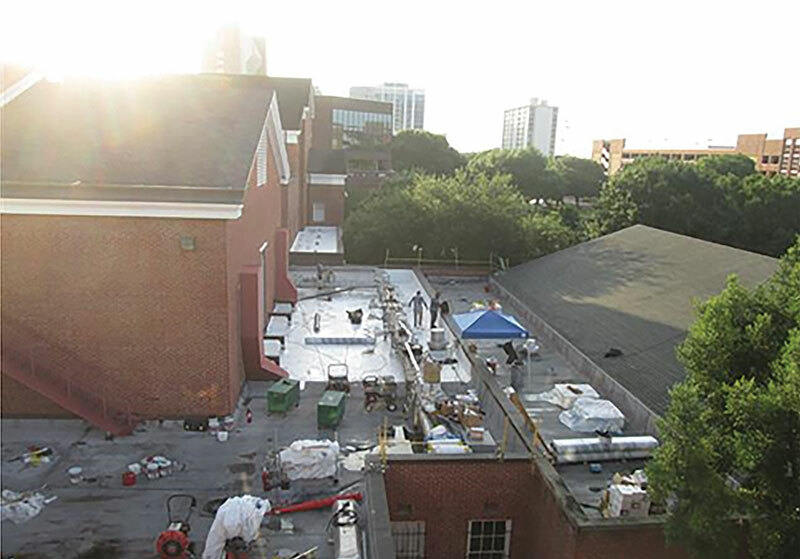 You may have seen the work taking place on our buildings or us scoping out Allen Yowell Hall for changes. 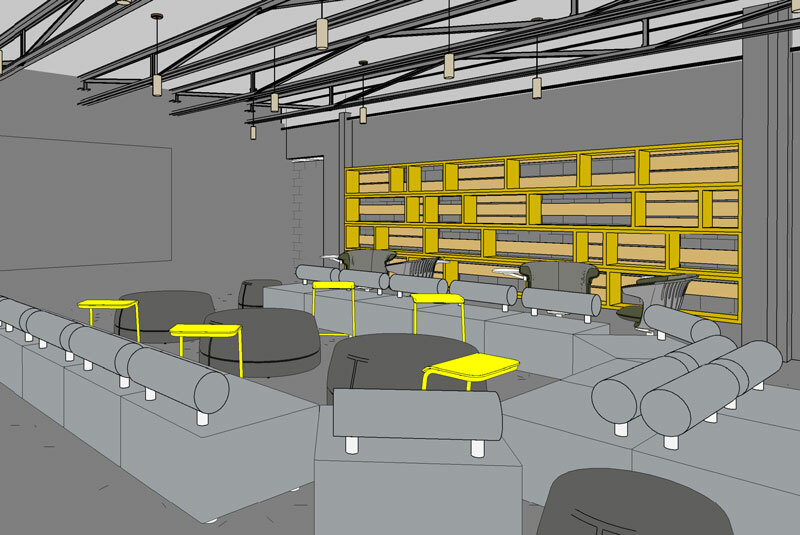 Plans for Student Ministry renovations are underway. We've chosen a design firm and plan, and work is projected to be complete in Spring 2017. Below you can see drawings of the welcoming environment we're hoping to create for parents and students. We are continuing to bless others. Our total mission tithe continues to grow, helping provide for a gym in the Dominican Republic, plans for a Seminary in Madagascar and supporting Biblical Entrepreneurship through the Nehemiah Project. Our much-anticipated ministry focused on faith and work launches this Fall, with a number of discipleship courses and events taking place. Paying off our debt was only the beginning! See the future take shape with ministry, mission and important infrastructure updates throughout the summer as part of our continuing capital campaign. 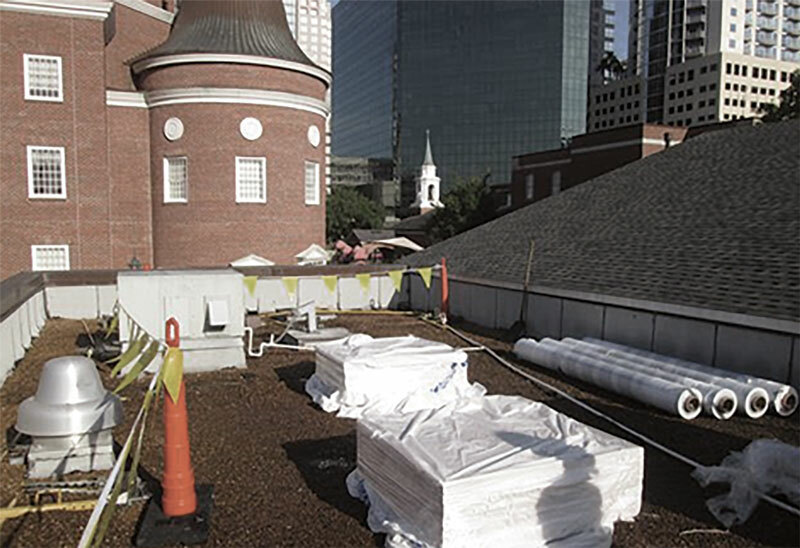 Roof repairs begin this summer! You'll see crews working on multiple buildings as we make much needed repairs in the next few months. We've begun the process of renovating Student Ministry. We've contracted an architect to begin sketching plans to renovate the 3rd floor of Allen Yowell Hall. Plans include a multi-purpose gathering area, updated technology and AV resources, and welcoming spaces for small groups and study. Mission giving. We have distributed $217,000 in mission tithes so far in the campaign, most recently to Nehemiah Project, and to help build a seminary in Madagascar. Church planting is underway. Our Session has approved $478,000 in ARISE AND BUILD funds for church planting, as planned. $428,000 of that distribution will go to support two new church planting partners in West Palm Beach, Florida and Edinburgh, Scotland. $25,000 will go to Redeemer Presbyterian's City-to-City Program to train and support the church planters, and $25,000 will go to our denominational family, the EPC for church planting efforts.